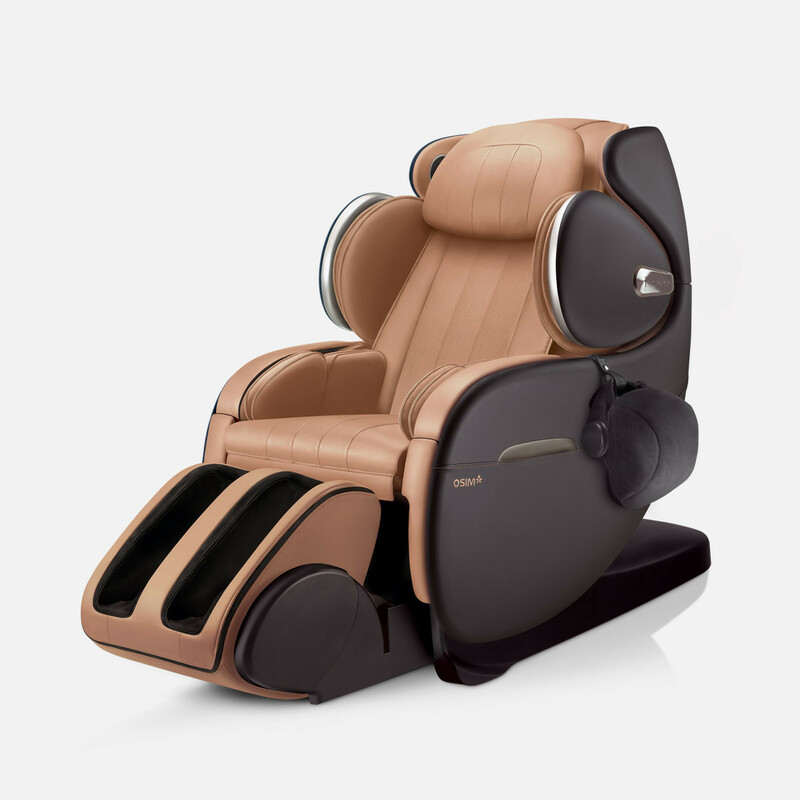 Committed to inspire our customers to experience the highest level in well-being innovations, OSIM celebrates this milestone year with the revolutionary OSIM uInfinity Luxe, a luxurious massage chair for the most humanized and pleasurable head-to-toe pampering experience. The ultimate massage indulgence and well-being. 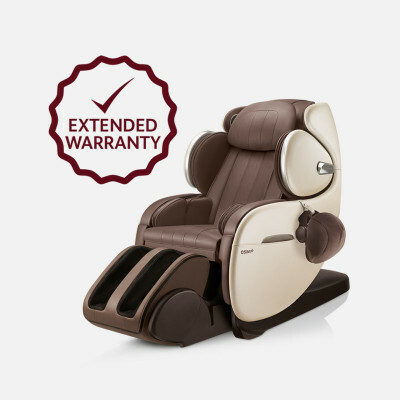 The culmination of years of research in the art of professional massage, combined with breakthrough download technology, state-of-the-art functionalities, sophisticated design and adhering to the highest performance and quality standards, the uInfinity Luxe massage chair is the epitome of massage indulgence and well-being. uInfinity Luxe brings full-body massage to the highest level. The revolutionary Human-Smart Massage Technology combines 3 complementary innovations to deliver the most humanized massage feel, customizable lifestyle massage programs for different needs, and the download of new massage programs for endless massage pleasures and well-being. Download future new massage programs to continuously satisfy the diverse and evolving needs of the user and family. The most unique and customer-oriented suite of massage programs ever, designed to serve different lifestyles, professions and needs of the user and family. The most humanized massage feel with comprehensive head-to-toe coverage for the ultimate massage experience. The most unique and customer-oriented suite of Lifestyle Massage Programs. Coupled with the power to download new massage programs via the uInfinity App, the OSIM uInfinity Luxe is the ultimate investment for your family's well-being. Calm and soothe common pain points in a few minutes. Precise and soothing solutions for specific needs. Restore balance and well-being through the day. Satisfy the unique desires of the body and mind. Aid in recovery and relaxation for the active individual. The OSIM uInfinity Luxe massage chair understands everyone has different needs and wants when it comes to getting a really great massage. Slow rolling techniques, soft airbags and calming head massage to fully relax and relieve tension. A showcase for the innovative head massage unit accompanying full-body massage. A soft, slow, full-body massage inspired by Hot Stones massage. Rhythmic warm air massage soothes, calms and relieves to achieve that ultimate ‘floating feeling’. The uInfinity Luxe's versatile footrest is more than just a leg massager. It can be fully retracted under the seat or flipped over to rest your legs – perfect for resting or watching your favorite TV program. Inspired by traditional head massage, the integrated head massager is designed to target specific acupressure points on the head to effectively relieve tension caused by stress and fatigue. Its firm yet gentle airbag massage combined with sense-delighting tapping massage help relax your mind and lighten you up. Targeting the 'Bai Hui' acupressure point, the light percussive tapping sensations help to promote circulation and oxygen flow to the brain. The firm but comfortable airbag massage targets the 'Tai Yang' acupressure points to help relieve headaches caused by tension and stress. Soothe stiff neck and relax tense knots below the head with every gentle pressing that mimics the hands of a masseuse. With a simple Bluetooth connection to a Smartphone, the uInfinity Luxe can download more of the latest Lifestyle Massage Programs for use.